Back during a time when the world was still forming itself, tectonic plates came together and broke apart, causing the creation of volcanoes in the middle of the plate. As magma rose upward, it began to erupt on the bed of the sea, causing what’s known as a “hot spot.” In the middle of the Pacific Plate, one of these hot spots caused the formation of the archipelago now known as Hawaii. As volcanoes were such an important part of the creation of these tropical paradises, you may find yourself intrigued by which volcanoes are in the region and, if you’re up for some adventure, which of them you want to visit. While some of them may still be active, they’re all naturally-made wonders that continue to contribute to the exotic textures of Hawaii’s surface. 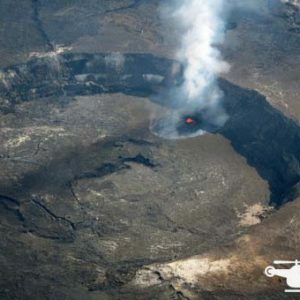 What sounds more thrilling than getting up close to an active volcano? How about not just any active volcano, but one of the most active volcanoes on Earth? 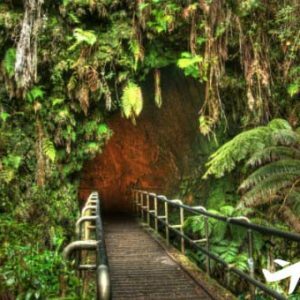 If you’re up for the face-to-face confrontation, then one stop you need to make on your visit is the Hawaii Volcanoes National Park. Cutting past the mild-mannered aspects you expect from a national park, the incredibly large slice of the Big Island houses an awe-inspiring feature: Kilauea. Known for being one of Earth’s most active volcanoes, this monumental formation of nature is a sight to behold. Over 300,000 years old, the ancient foundation provides a daily show of the power of Mother Nature. In January of 1983, the volcano began a lengthy eruption that swallowed parts of the Big Island of Hawaii, including the Kalapana Gardens and Royal Gardens residential neighborhoods. 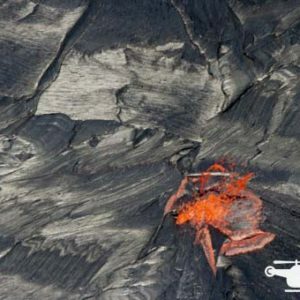 Don’t worry, the Hawaii Volcanoes National Park keeps you at a very safe distance from this active behemoth while also letting you witness the sheer force of fiery creation and destruction. Beyond the Hawaii Volcanoes National Park, your ability to explore other volcanoes on the Big Island and the outlying islands is limited only by our own daring. 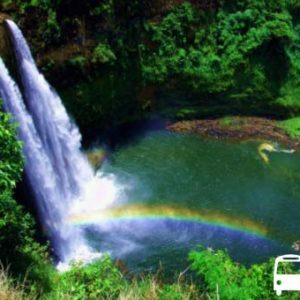 Tours throughout the islands provide a variety of means of getting up close to these natural monuments. One ideal method of exploring these wonders is via helicopter. The overhead view will get you a birds-eye look at the explosive rock structures and the beauty that surrounds them. From the comfort of your aerial ride, you’ll also see so much of the Hawaiian islands that tourists on foot miss out on. The natural beauty stretches from coast to coast, and the only way to appreciate it all in one viewing is from above. 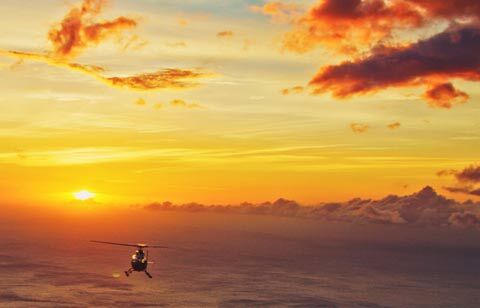 If riding in a helicopter isn’t for you, hiking tours on the islands of Maui, Oahu, the Big Island, and Kauai offer views of the most iconic, less-active giants. Though you won’t get the overhead view that you find on an aerial tour, you’ll definitely enjoy being in the thick of Hawaii’s tropical beauty. You may only get a chance to experience an active volcano once in your lifetime. Be sure to do yourself a favor and make it the best experience possible.